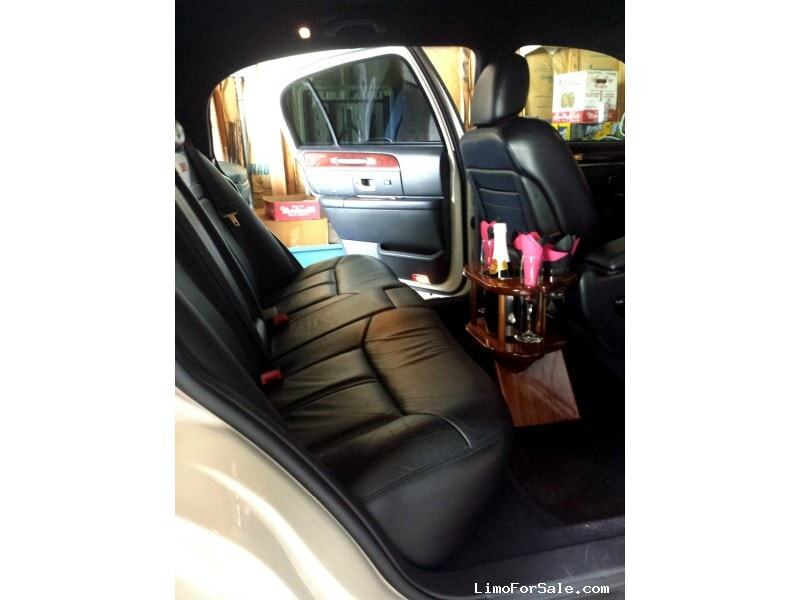 About the Seller / Company: Lasting Impressions is a premier deejay and limousine service located in the Westminster, Maryland area and has been in business since August 1995. 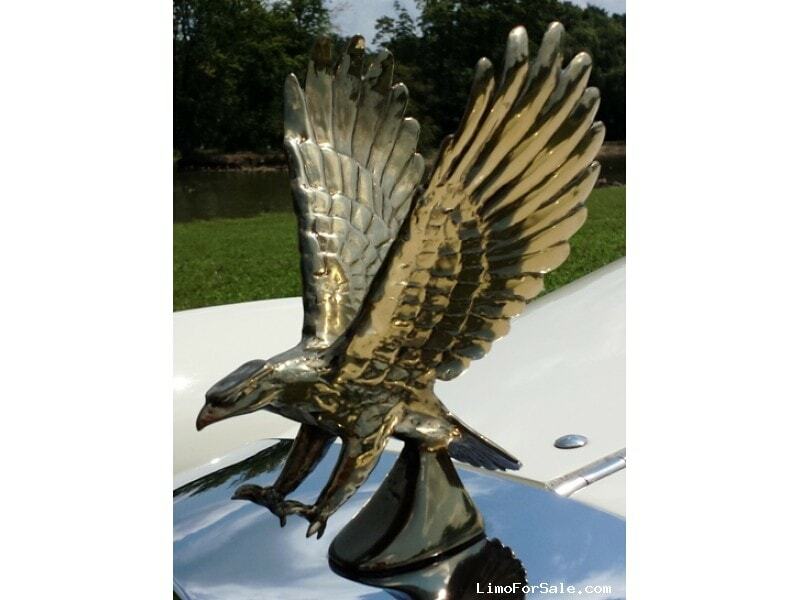 We are licensed by the Maryland Public Service Commission (#2370) for Maryland intrastate commerce, licensed by the Pennsylvania Public Utility Commission (# A-00121506) for Pennsylvania intrastate commerce, and licensed by the United States Department of Transportation (#1374014 / MC# 524900) for interstate commerce. 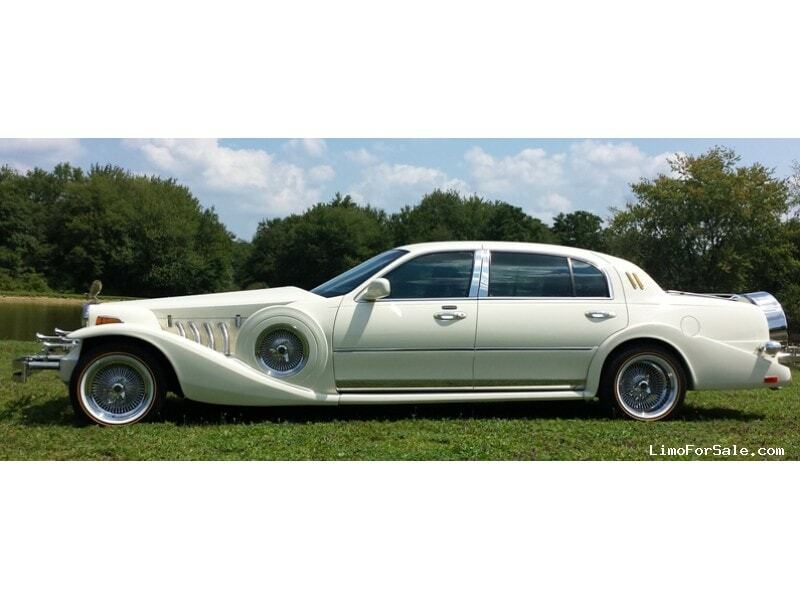 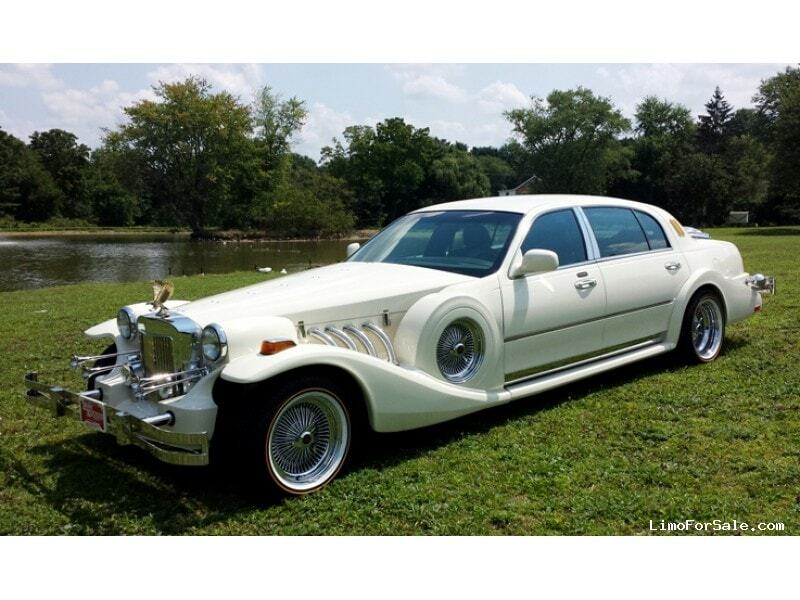 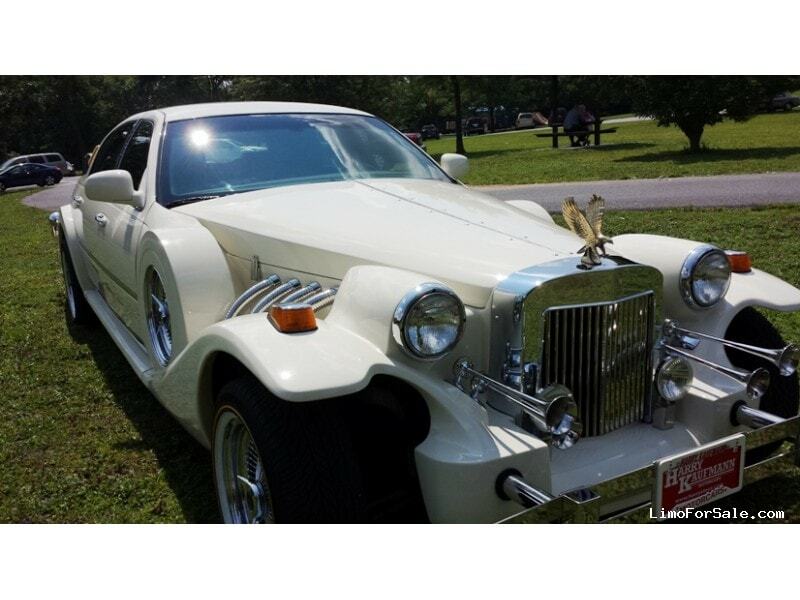 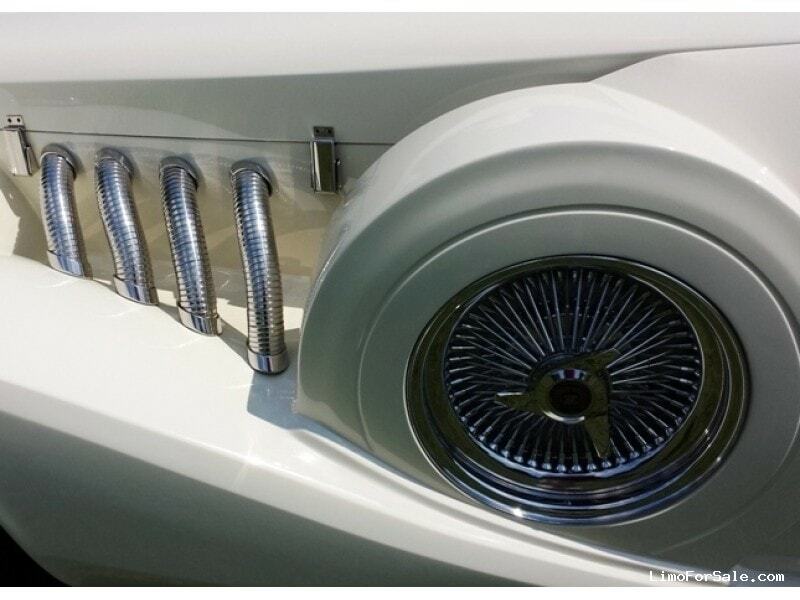 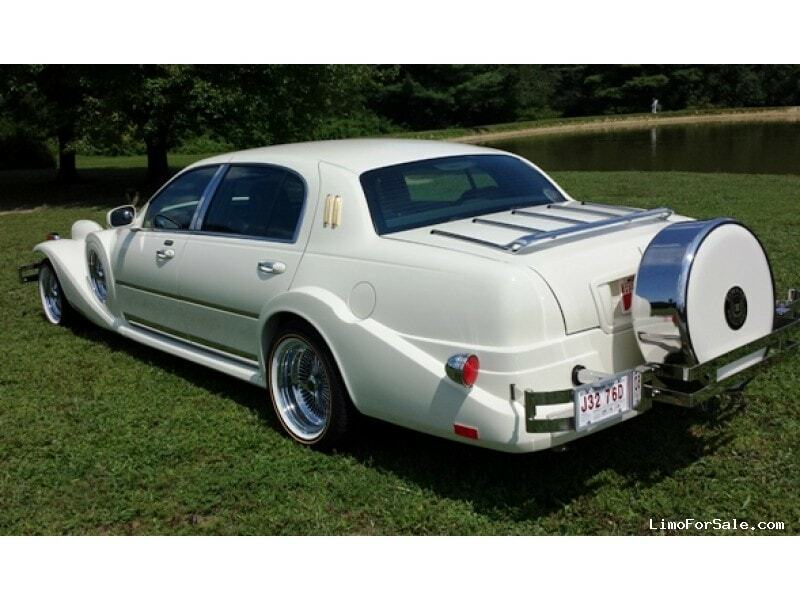 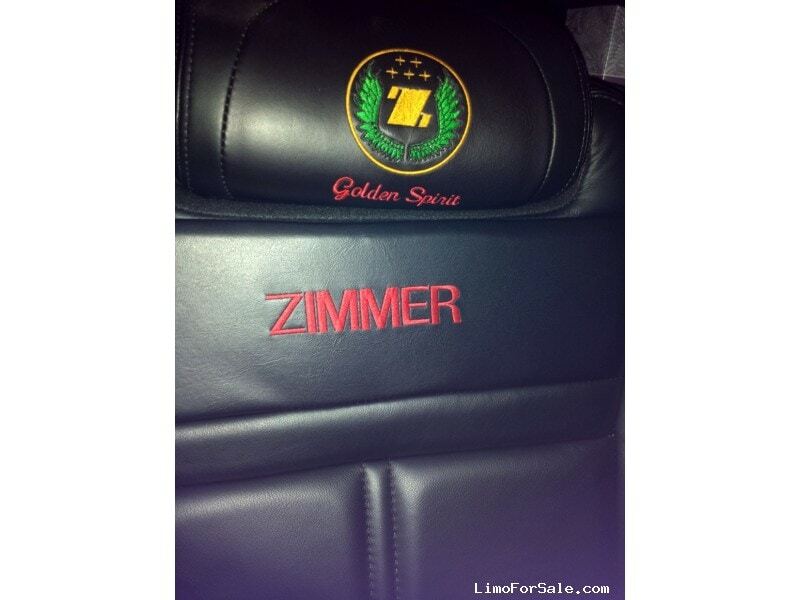 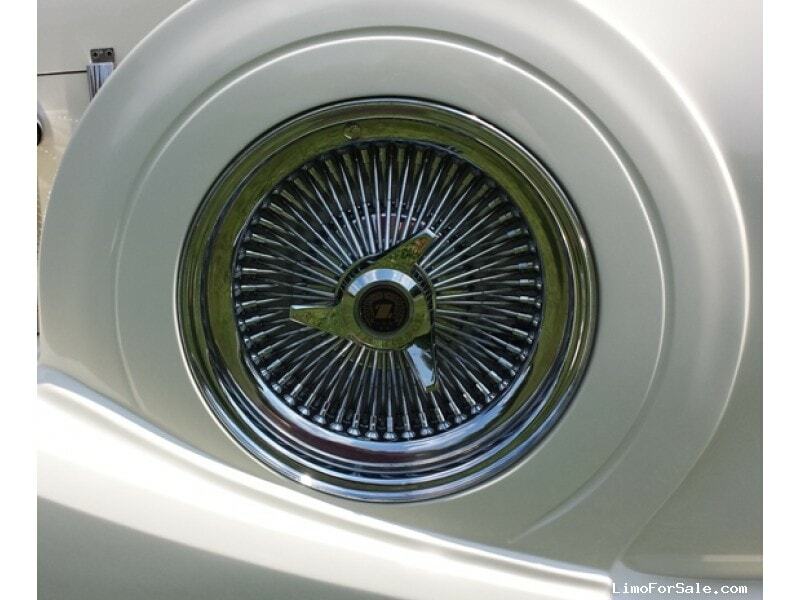 Seller Comments: This is a Zimmer Golden Spirit. 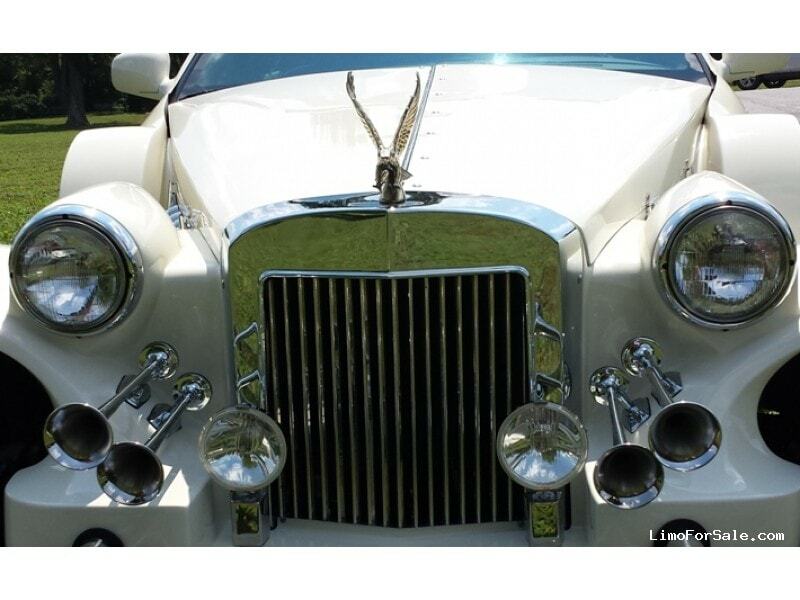 With the style and grace along the lines of a 1930s Duesenberg, this incredible neo classic, Magnolia white colored Zimmer has a majestic, large, gold-plated Eagle adorning its grand Rolls-Royce styled grill. 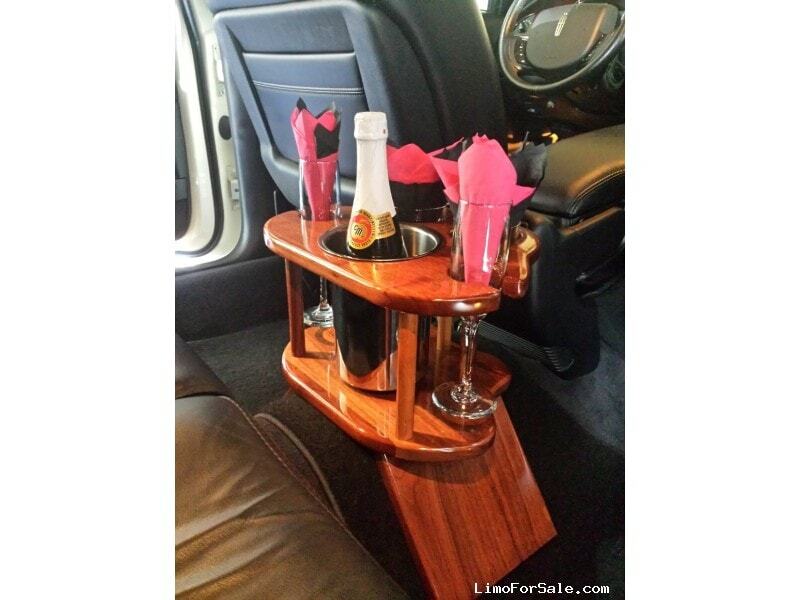 This vehicle is equipped with all of the new amenities that you could ask for. 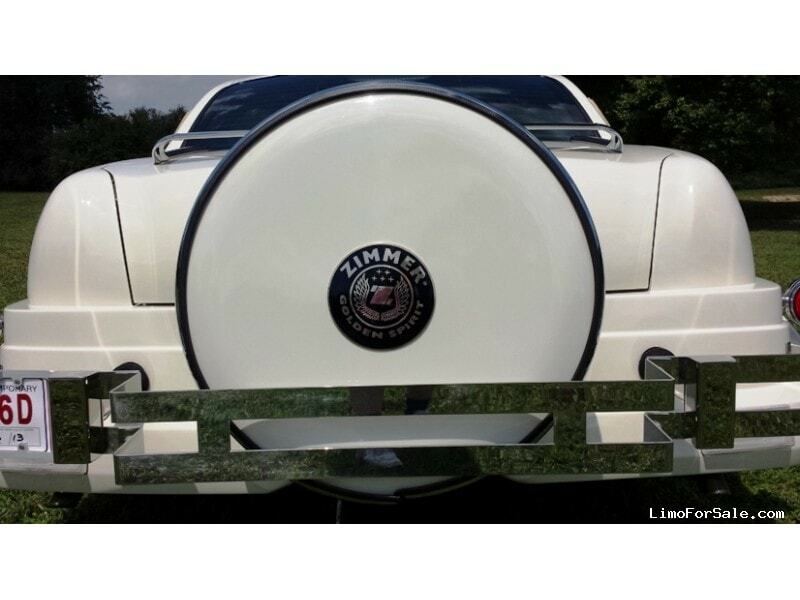 This unique vehicle speaks of excellence with it’s dual side mounts along it’s shapely fenders; brightly chromed pipes on each side below it’s bonnet (hood); protruding, triple chromed air horns on the front of the car, which have a authentic sound; a beautiful chrome-lined Continental kit on the vehicle’s rear with the Zimmer Golden Spirit logo; Magnolia white dual running boards; gold opera lights, and true hand-polished, highly chromed wire spoked wheels also with the Zimmer Golden Spirit logo. 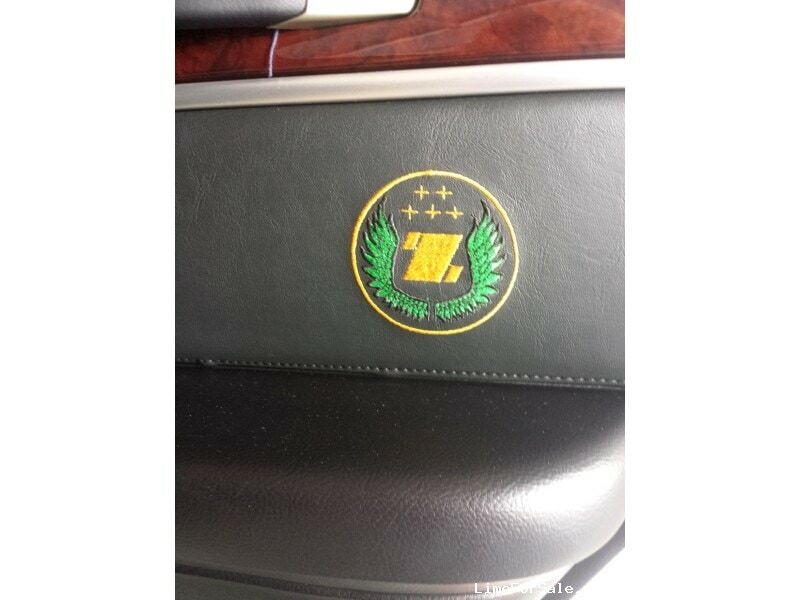 Specially crafted extended passenger doors and the Zimmer logo that is inlayed in the plush leather seats and the genuine wood trim.